Since we have established in this massively competitive market place, we have come up with a wide assortment of Red Meranti Wood. Our offering high quality range of Red Meranti Wood. This range is suitable for making frames and heavy constructions. Our collection is also used for carpentry works such as joining, boring and drilling. Porosity, good compressive strength and long life are some the major attributes that make our range. 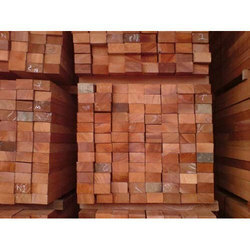 Taking quality as our prime concern, we are engaged in providing Red Meranti Wood. Available in different sizes, dimensions and related specifications, the offered wood is manufactured in accordance with the industry set guidelines. Owing to our transportation facility, we are committed to dispatch the offered wood on-time. Our firm offers a variety of red meranti wood. This range of wood is primarily used in decorations for various residential purposes. Apart from this, the red mehranti wood finds applications in various industrial purposes like ltf, laminated truck flooring, plywood and tie down slats. Wood from all over world under one roof. We provide Teak wood from Burma, Ghana, Nigeria CP. Pine and Red Merenti from India and far east in logs and cut sizes, with rough and fine finish. We are devoted towards offering the qualitative range of Red Meranti Wood, as per client’s precise need and requirements. 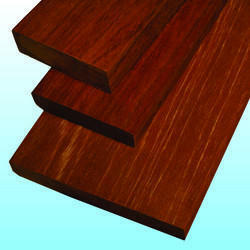 Red Meranti wood is combine species wood of Dark-Red Meranti and Lighter Red Meranti. It is heavily found in Malaysia. Actually, Red Meranti wood is recognized by its medium red to dark red-brown color, often by white dammar or resin and streaks. Red Meranti Wood has a medium boorish texture and a shallowly interlocked grain….